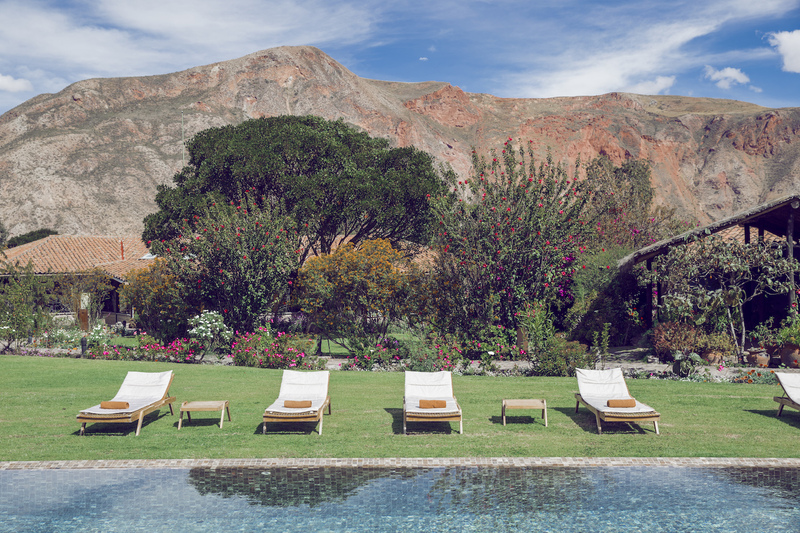 Sol Y Luna is an intimate, luxury boutique hotel in Peru. Stay here for unrivaled adventures, views, and cultural experiences. 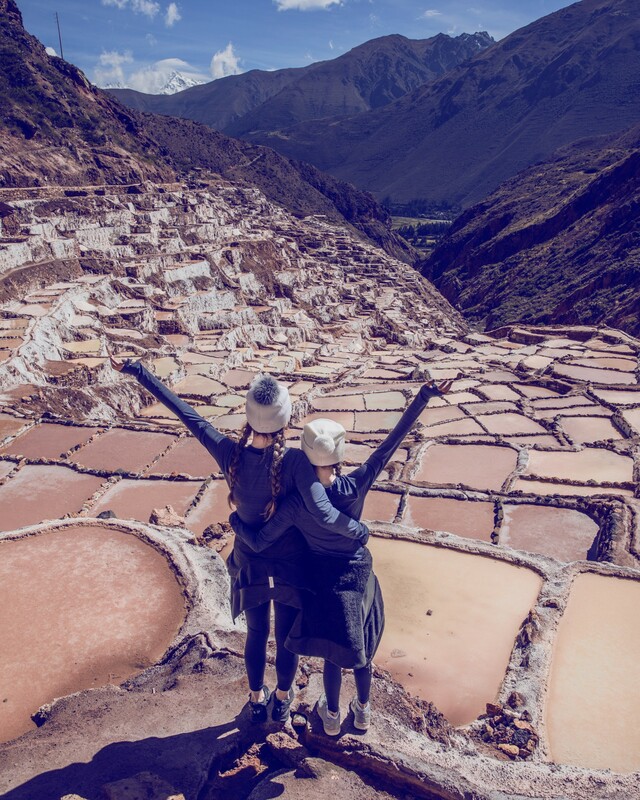 I recently went on a mother daughter trip with my youngest, to Peru. Our first leg was in the city of Lima, after which we headed for the Sacred Valley. 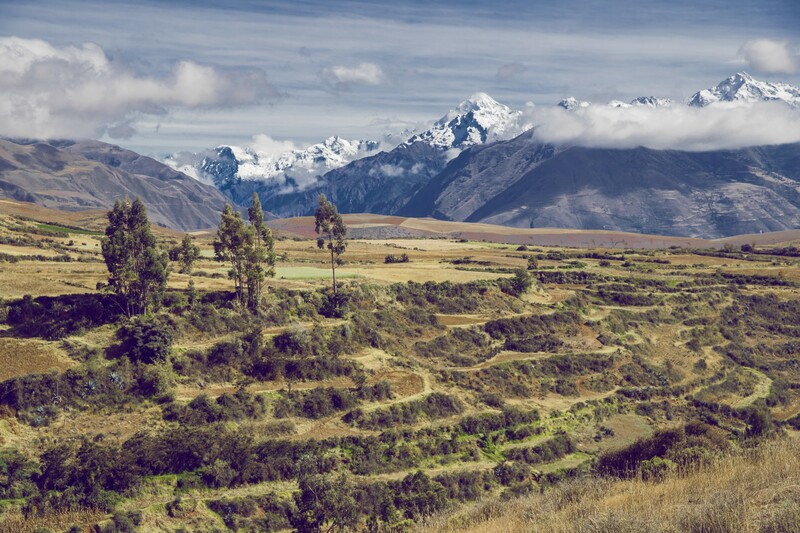 As we drove from the airport to the town of Urubamba in Peru, we didn’t know exactly what to expect. I knew it would be beautiful, and I knew we would enjoy ourselves. What I didn’t know, is how it would be one of my very favorite trips to date. 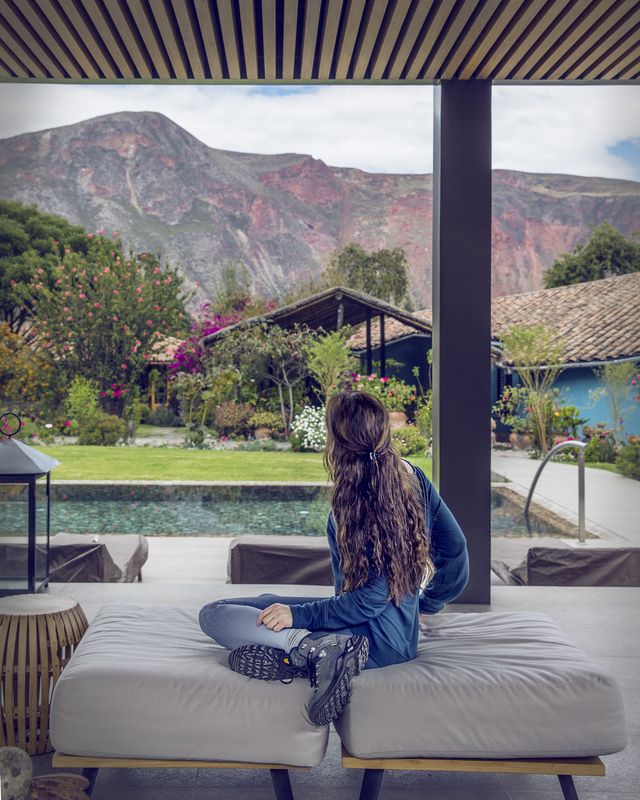 One of the main reasons for this chart-topping trip, aside from the special time with my daughter, was our stay at the luxury boutique hotel in Peru’s Sacred Valley – Sol Y Luna. 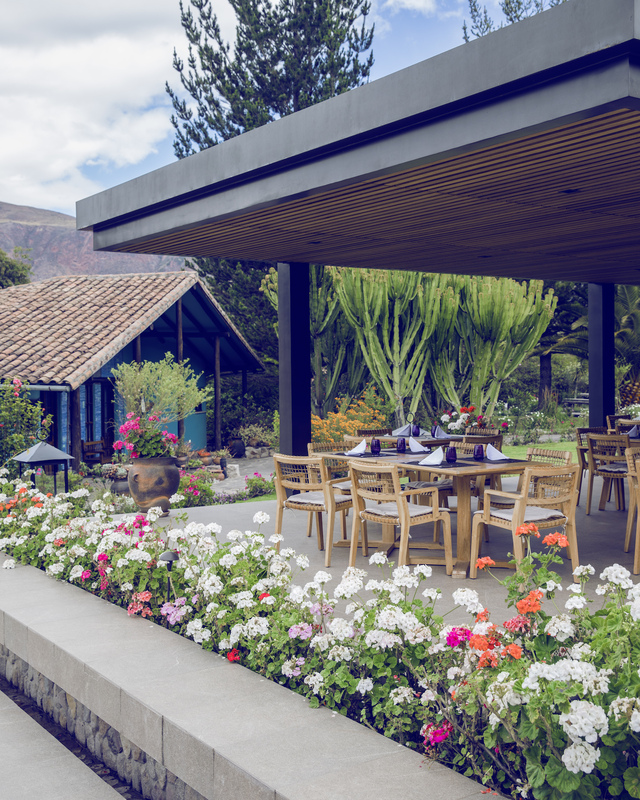 Before I rave about the extraordinary experiences while there, and the utterly delicious food, I have to share one of the most important parts about this luxury boutique hotel in Peru. It was built and is still run by a sweet European family. This was all in the name of providing means to fund their true passion. That is, education for the children of the area. From this passion and the funds from the hotel, comes The Sol Y Luna Intercultural School. This darling education center is right next door to the hotel, allowing the region’s children a quality education. The school, and the love that goes into it, truly make the property that much more intimate and special! 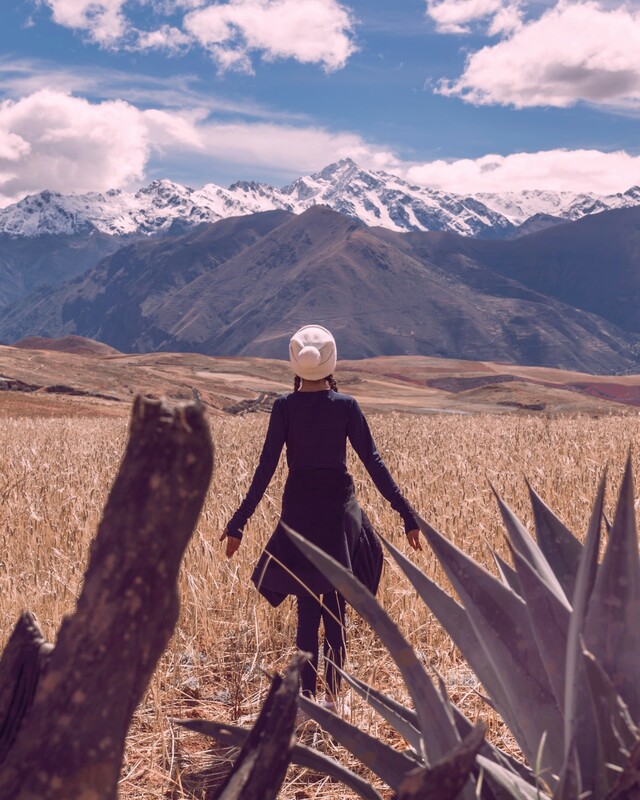 The backdrops of the Sacred Valley are something out of a magical fairytale, almost like a ‘Peruvian Tuscany”. With rolling hills, vast open spaces, and snow-capped mountains, it was dreamy beyond words. The cultural experiences my daughter and I were provided with as guests of Sol Y Luna are memories that will last a lifetime. Perhaps this was because I absolutely love the colorful nature of the Peruvian people. Figuratively and quite literally, their clothing and culture is fascinating to me. Due to the close proximity to the hotel, my daughter and I were able to visit the salt mines and historical sites in the early morning before the crowds came. From the ranch on the grounds of Sol Y Luna, we hopped on a breathtaking horseback ride through the local village and up into the mountains. Then we toured the school next door and visited the local markets, amazed by the abundance of fresh fruit and veggies. 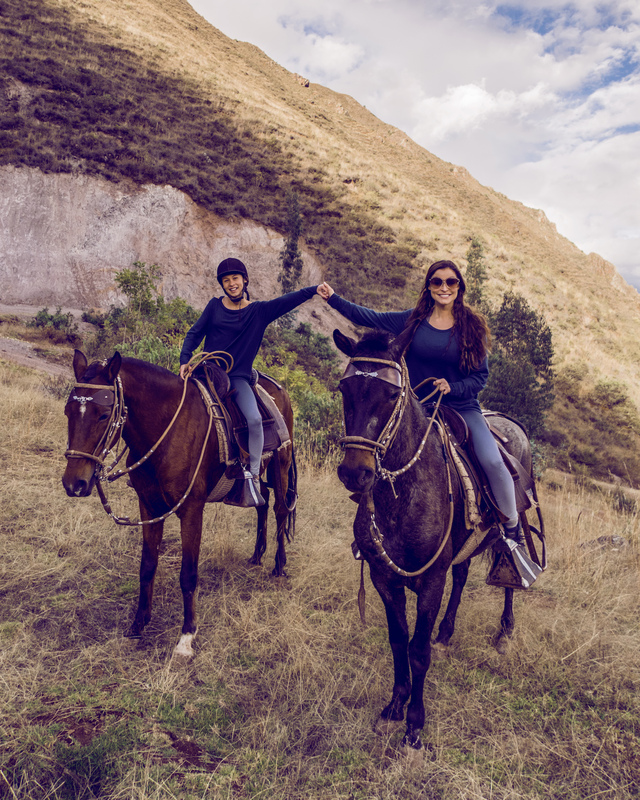 Guests can also visit Machu Picchu and take part in a number of other fantastic outdoor adventures in the Sacred Valley. 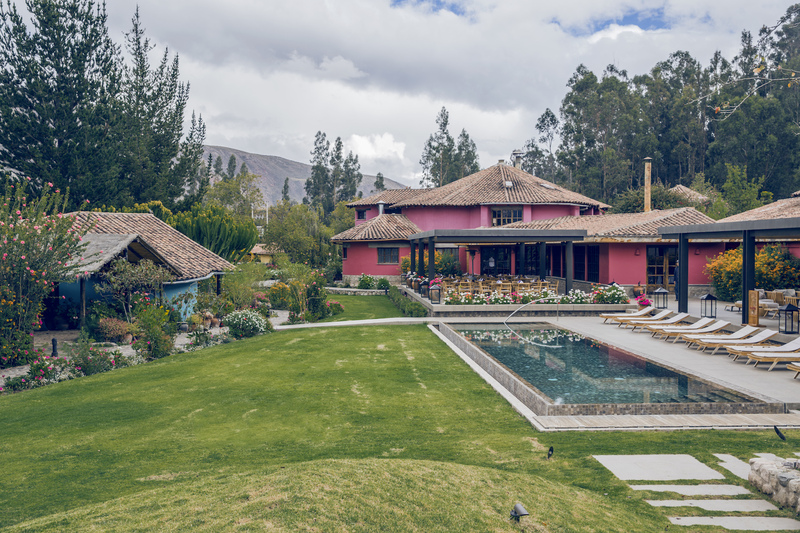 The grounds of this luxury boutique hotel in Peru are a true feast for the eyes. Between the stunning pool setting, the surrounding mountain views, and the overflowing flowers, it felt like heaven! Sol Y Luna is comprised of just 43 cozy casitas, each one individually decorated and made of local stone. All of the casitas provide plenty of privacy and are adorned with handmade, colorful Peruvian decor. One of my favorite parts of my stay, was the personal and very warm, above par service provided to guests. Each night, a staff member would come to our casita and start a real wood burning fire, it was such a wonderful touch. Sol Y Luna – Dining paradise! The meals at Sol Y Luna were the best I had during my entire trip to Peru. As a vegetarian, I am sometimes underwhelmed with the options or creativity of the dishes I receive while traveling. Not at this incredible hotel! We had some of the most exquisite dishes imaginable, each with a Peruvian twist. A big round of applause for the magnificent chef, we were very impressed. As a guest of Sol Y Luna you have multiple gourmet dining options, including dinner in the wine cellar, or eating at one of the two in-house restaurants, Killa Wasi and Wayra. Both of which are spectacular! You can really feel the pride and love that they put into the dishes they serve. 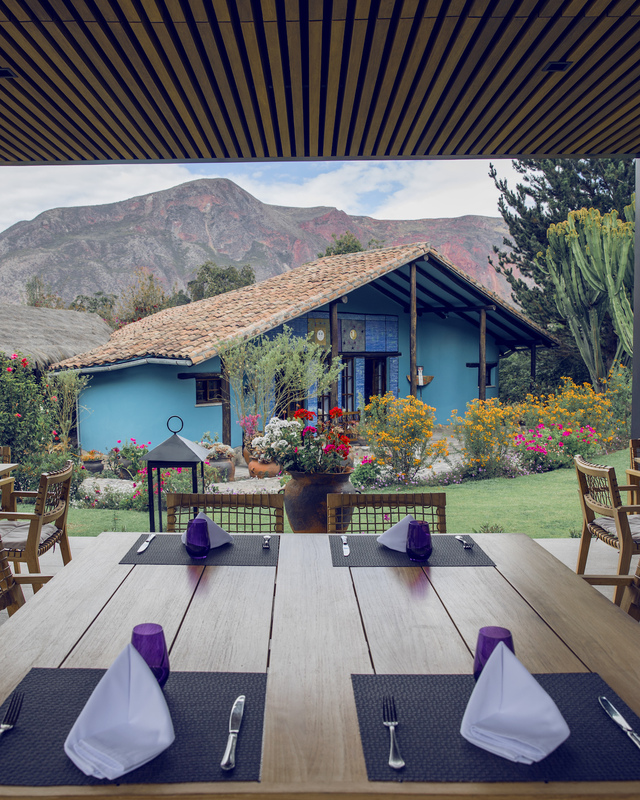 Using only fresh, local, natural ingredients, they value their ability to connect their guest to the flavors of the Sacred Valley. 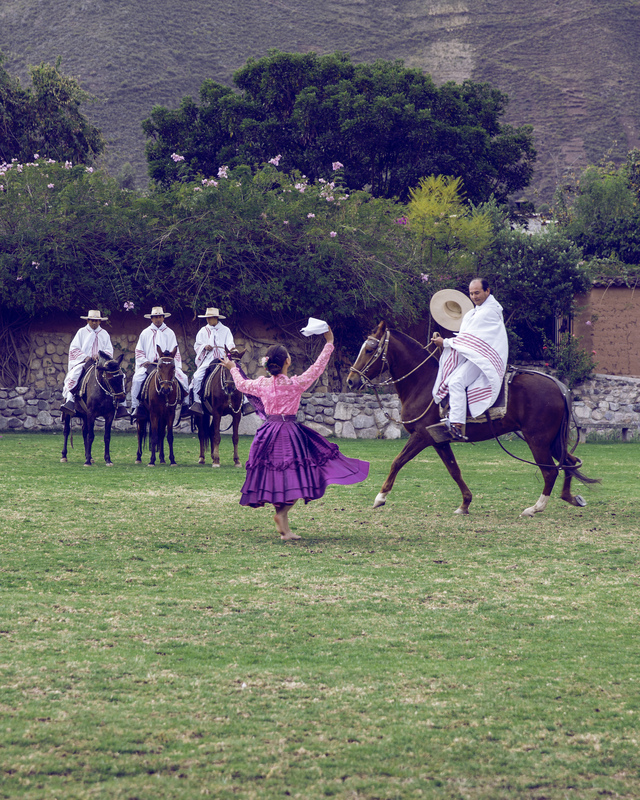 As an added bonus, guests are given a traditional Peruvian horseback show while lunching at Sol Y Luna’s ranch. What a special treat. Last, and certainly not least, is the exceptional spa of this gorgeous luxury boutique hotel in Peru. Truth be told, I haven’t really ever met a spa I didn’t like. However, the spa at Sol Y Luna was extra relaxing with its dim lighting, plush lounge area, and privacy. After days of travel and lots of adventure, the massages were just what the doctor ordered. Quechua ‘house of water’ is an intimate, blissful spa, focusing on the perfect blend of native healing and modern pampering. My daughter and I both indulged in a 90 minute hot stone massage and it was positively divine. Afterwards we were given some hot tea and just sat there and relaxing in our robes together for a while. We thoroughly enjoyed the perfect combination of exciting adventures and holistic relaxation. Sol Y Luna is truly a magical place and I feel as though I could have stayed forever! When I think about my stay at Sol Y Luna, one word comes to mind. That is – VALUE. You get so much for what you’re spending. Far more than what you’d get at other properties in terms of accommodations, service, excursions, dining, comfort, location, and amenities. Believe me when I say that they are spot on in all categories – and I’m a tough critic. Where to next? Stay tuned for my post on Titilaka at Peru’s Lake Titicaca. I was hosted as a guest of Sol Y Luna, but the opinions expressed in this article are, as always, my own.